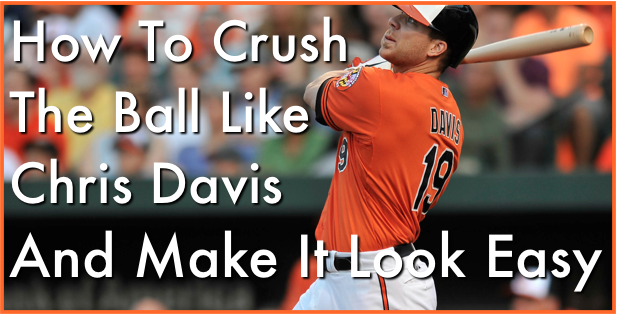 Home / Batting tips / Crush The Ball Like Chris Davis & Make It Look Easy. Crush The Ball Like Chris Davis & Make It Look Easy. Have you seen anyone drive the ball with as much authority as Chris Davis has? Yes maybe Miguel Cabrera…or Mark Trumbo but c’mon! He’s hit almost 40 home-runs before the All-Star break! Pretty impressive. How is he generating this kind of bat-speed? Well he’s executing most of the check-points that I’ve discussed in the “how to hit a baseball like Bryce Harper” video as well as the “Miguel Cabrera Hitting Drill” video but Chris is doing a few other things that are partly responsible for the power numbers he’s put up recently. Oh…and yea he’s hitting over .300. In this video I’ll be discussing five hitting tips that you can apply to your own approach at the plate. Share your thoughts in the comment box below after the video!